In October 2016, Visa quietly announced sweeping changes to rules for card not present transactions in the lodging industry. With online booking technology updates, hotels can increase profits by complying with the new rules, including for guaranteed reservations. Failure to comply may significantly increase financial risk. A core concept is valid “authorization”, which impacts merchant rights and potentially credit card processing rate qualification. An invalid authorization equates to a no authorization. Card issuers will be within their rights to use reason code 72 and chargeback, or ACH, the funds from merchant bank account on the next settlement day, for failure to comply with the rules. This is a significant change, as in the past, hotels would respond to cardholder initiated disputes, a completely different scenario, and win a good portion of them. Visa now groups transaction types into ‘customer initiated’ and ‘merchant initiated’. For card not present, a transaction is only considered customer initiated, if Verified by Visa is used. Verified by Visa (VbyV) is their brand name for the global 3-D Secure cardholder authentication protocol for card not present transactions. Effective through 13 October 2017: In the US Region, for Car Rental Merchants, Cruise Lines, and Lodging Merchants, the Merchant must use the Incremental Authorization Request indicator and the same Transaction Identifier for all Authorization Requests. 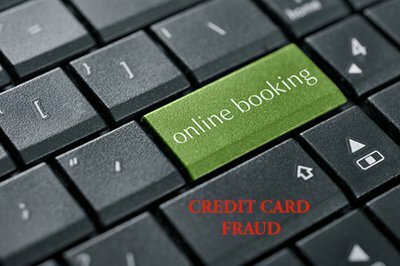 Verified by Visa cardholder authentication protects lodging merchants immediately from “it wasn’t me” card not present fraud. Without hotel action to update online booking in advance of the October dates, financial exposure for prior months may be significant. Christine Speedy, authorized CenPOS reseller provides universal payment processing solutions to maximize merchant profits and mitigate risk across multiple sales channels. To get a CenPOS account and your booking engine compatible plugin contact Christine at 954-942-0483. This entry was posted in CenPOS, industry news and tagged chargeback prevention, hotel, lodging, visa by Christine Speedy. Bookmark the permalink.